Saturday, July 20, 2019, 10:00 a.m.–5:00 p.m.
Sunday, July 21, 2019, 10:00 a.m.–4:00 p.m.
Come join us for two days of wonderful art, music, sunshine, and fun at the Midsummer Festival of the Arts, set amidst the gardens of this major innovative grassroots arts center, the largest multi-arts event in East-Central Wisconsin. 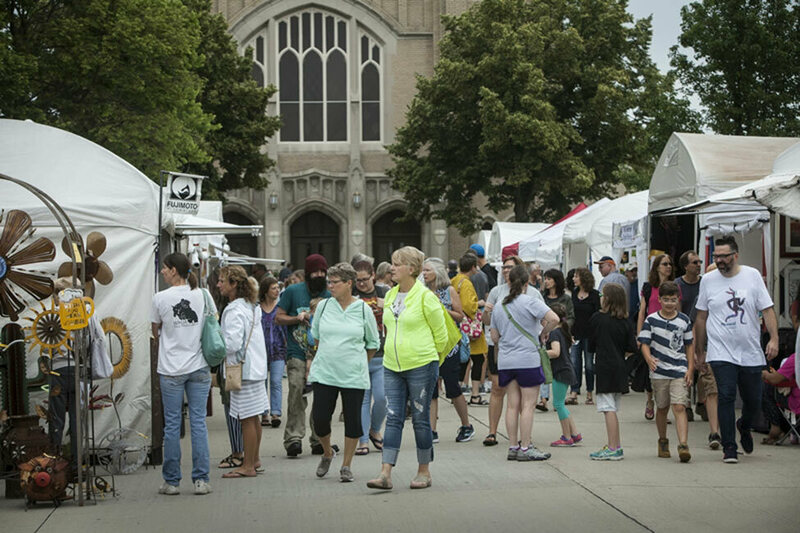 This exciting family-friendly festival attracts tens of thousands of visitors who shop the 135 artists' booths and enjoy live music, art-making activities, free admission to the John Michael Kohler Arts Center (where even the washrooms are works of art! ), delicious local cuisine and food trucks, and much more. In booths set up along the tree-lined streets, festivalgoers can choose from an astounding variety of paintings, photographs, jewelry, sculpture, ceramics, art glass, fiber art, and much more.